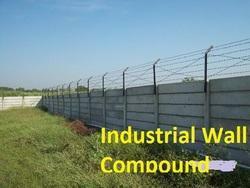 To cater the requirements of our valued customers, we are providing a broad range of RCC Industrial Wall Compound. These products are manufactured employing latest techniques and are widely utilized in construction of buildings and houses. 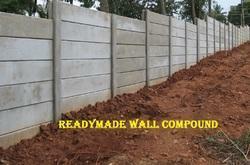 To ensure the quality, the provided compound wall is checked under the direction of our quality auditors. Our offered products are highly appreciated in the market for their high strength and dimensional accuracy. 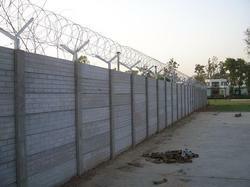 This compound wall is made by using premium quality material, procured from reputed vendors. 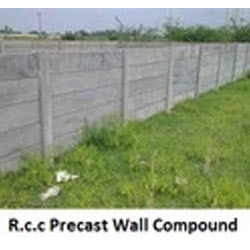 We are one of the leading names in the industry for offering best quality RCC Precast Wall Compound. We provide these products in diverse specifications as per the customers’ requirements. Provided walls are highly recommended amongst our customers for their reliability and sturdy construction. Furthermore, offered walls are easy to install and can also be modified as per the specifications provided by our clients. 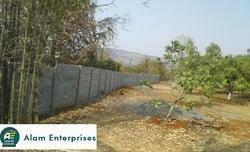 We are a leading firm offering RCC Readymade Wall Compound to our clients. 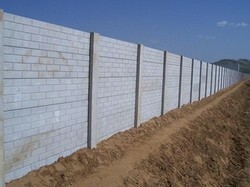 Offered walls are widely used for the boundaries in commercial as well as in residential sectors. It is designed with high quality material under the supervision of our talented and skilled team who assures the best quality and scheduled delivery to our clients. The price range is affordable to meet the diversified requirements of our clients. Owing to our huge business experience, we are able to provide high quality gamut of Ready Made Wall Compound. Our customers can avail these products in different modified options as per their needs and requirements. These wall compounds are constructed by our highly experienced professionals utilizing high quality cement and concrete, which we procure from the certified vendors of the market. We also provide these products at most affordable rates. 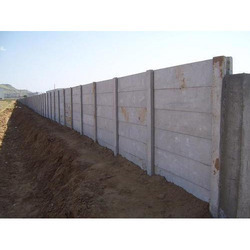 We are one of the leading names in the industry for offering best quality Readymade Boundary wall We provide these products in diverse specifications as per the customers’ requirements. Provided walls are highly recommended amongst our customers for their reliability and sturdy construction. Furthermore, offered walls are easy to install and can also be modified as per the specifications provided by our clients. With the constant support of our trained team of professionals, we are able to offer an extensive collection of RCC Precast Wall Compound. The provided wall compound is precisely manufactured utilizing finest quality material and superior technology by our skilled professionals. Developed in accordance with set industrial standards, these products are widely demanded in construction sectors. Moreover, our quality experts check the whole range of walls against varied parameters of quality. 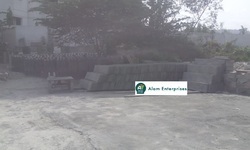 Looking for Precast Compound Wall ?